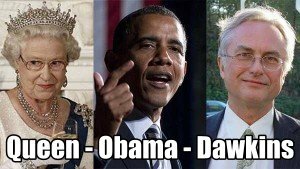 In this post Stirring Trouble Internationally takes a look at the Queen and how politics and religion in America is changing. The change is happening thanks to President Obama and Richard Dawkins. They are all approving each others messages. And More humorous snippets of wisdom. On politics, economics, sport and culture.